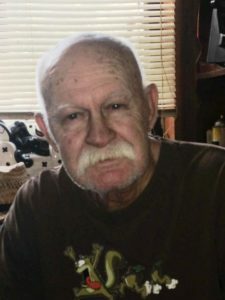 George Oliver Kight was called home on May 26, 2018. He was 77 years old. George was born in Homerville, GA to Norman Kight and Nellie Corbitt Kight. His parents later moved George and his brother Charles to Lake City, Florida where they grew into adulthood. George was retired member of the United States Air Force where he served during the Vietnam War. George settled in Gainesville Florida after he retired from the USAF. He later served for the VA Hospital in Gainesville and retired from service there. George is survived by his Brother Charles Kight (Vickie), His Daughter Theresa Kight Martone, His daughter Janice Kight Brown (John), His son Bruce Kight (Rachel), His son Clayton Kight (Libby), His Daughter Darci James and Son Scott James. George has 16 Grandchildren and 19 Great Grandchildren and 1 Great Great Grandchild. Funeral Services will be held 10:30am at Forest Meadows Funeral Home Chapel with a visitation one hour prior to services, with Pastor Raymond Cason officiating. Burial will take place at Florida National Cemetery in Bushnell at 1:30pm following the services. Arrangements are under the care of Forest Meadows Funeral Home, Gainesville, FL.